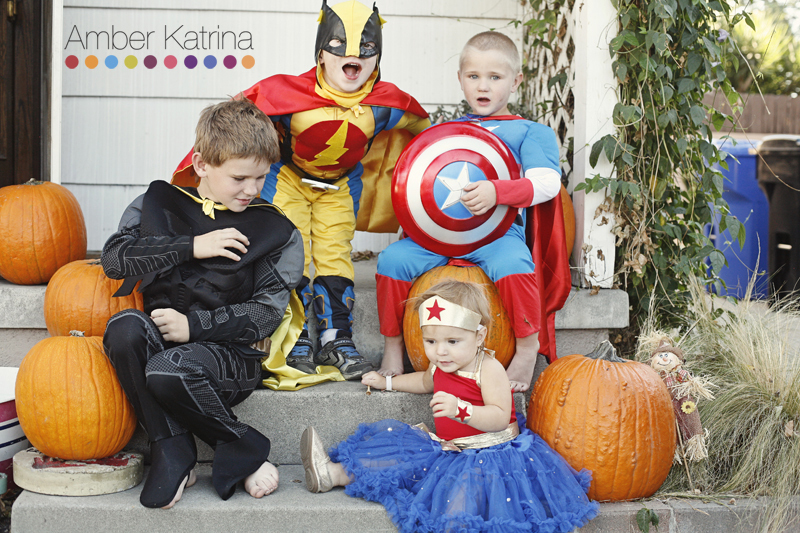 Happy Halloween from my little superheros to yours! 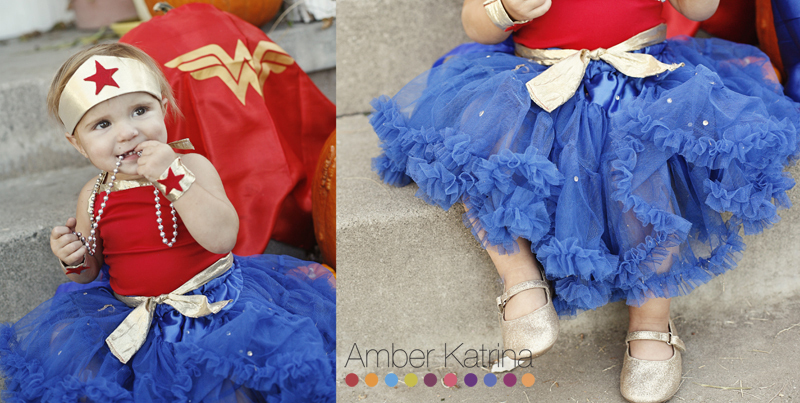 My boys wanted to be Batman, Flash and Captain America, so I made a Wonder Woman costume for baby girl to coordinate. 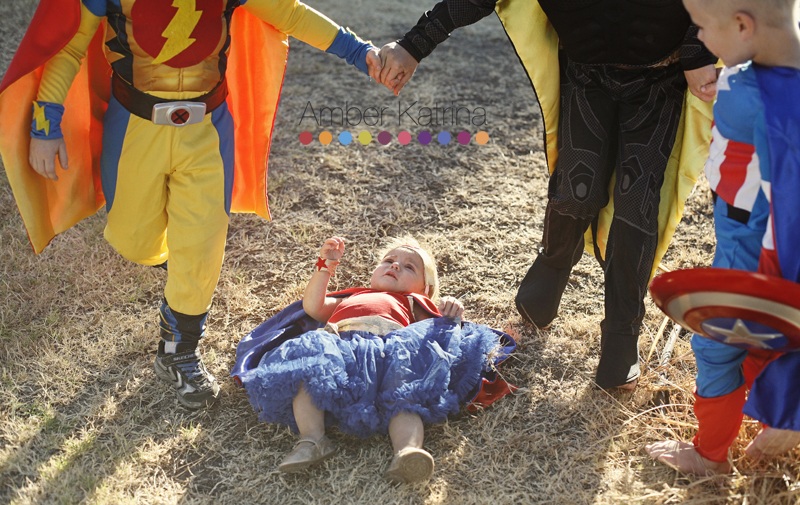 Here is Nora’s costume. I bought the pettiskirt, embellished it with rhinestones, made a little top edged with gold. The wrist bands and headband were from the same gold fabric. And she happened to have gold shoes. Perfect! 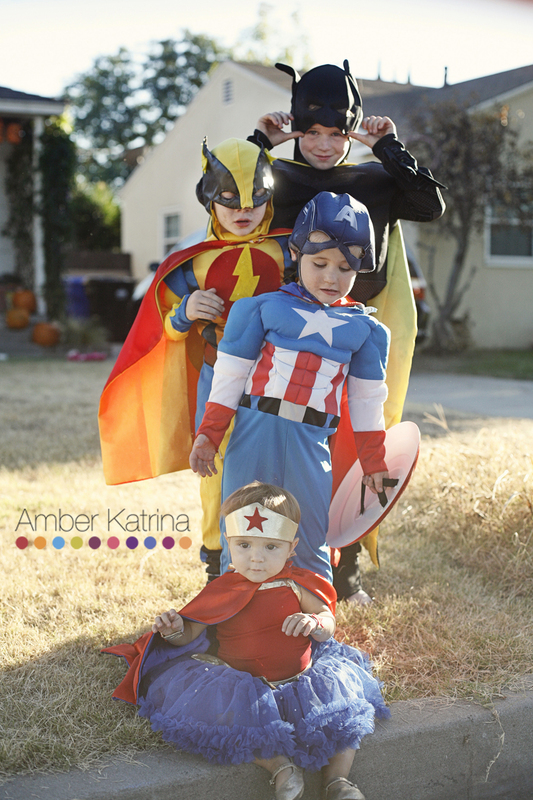 Asher wanted to be Captain America, primarily because of the “A” I think. Levi somehow has latched onto Flash and loves anything to do with Flash. At the time when I was planning I couldn’t even find a costume for it, so I had to embellish a wolverine costume with lightening bolts. Now the Flash TV show is out, maybe there will be more things available. 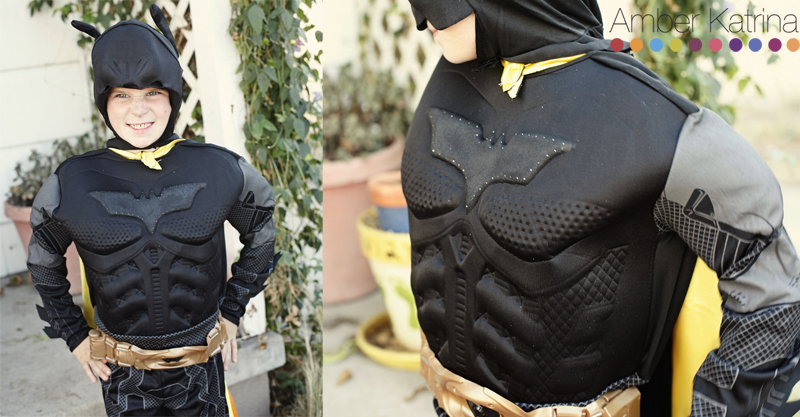 Elijah wanted to be Batman, and he is especially proud of the light up bat symbol on his chest. 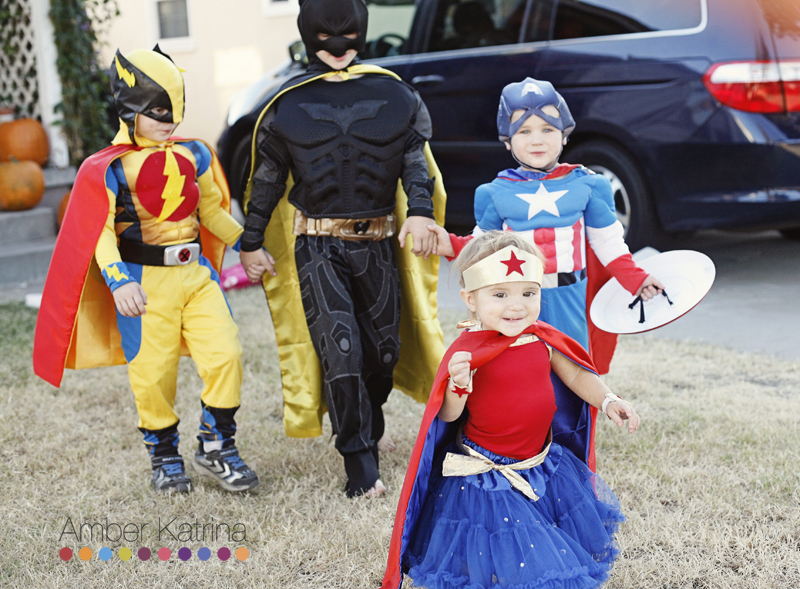 I love these cute little superheroes! They are so cute in their matching sibling costumes. 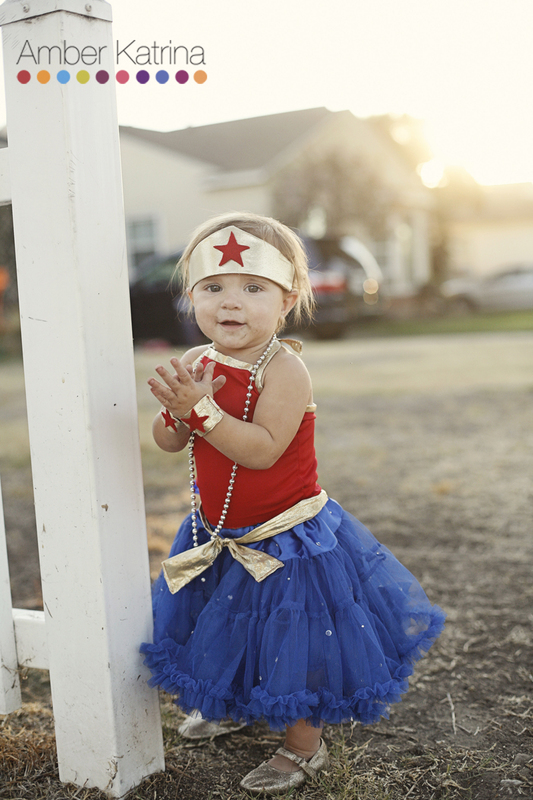 I definitely loved making this little girly costume most of all. 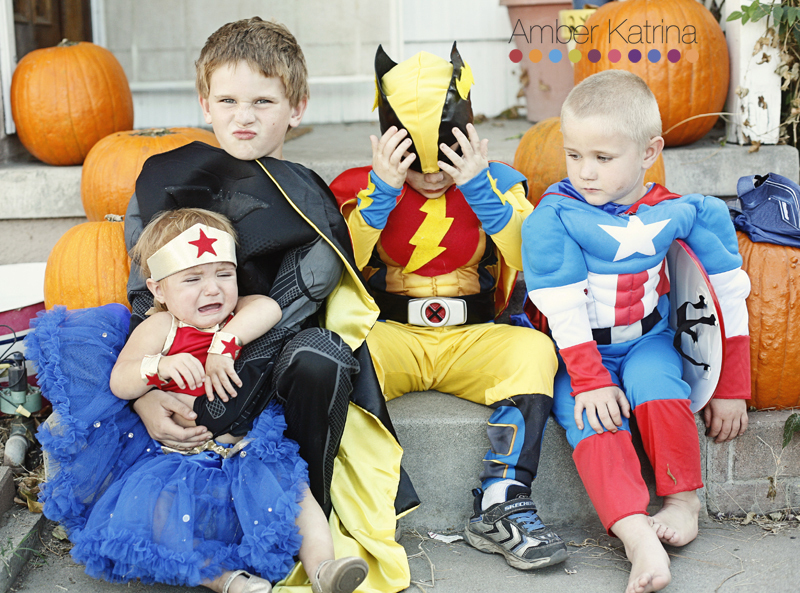 It’s fun to be able to embellish a little more than you can with boys. But then Nora started loosing it. First she threw herself on the floor!